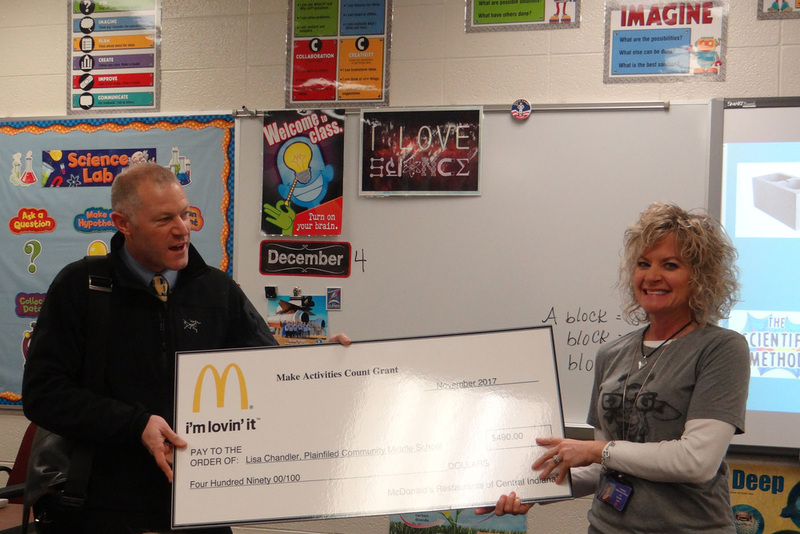 PCMS 6th grade teacher Mrs. Chandler started her week with an early holiday gift: a $500 grant from the McDonald’s MAC (Make Activities Count) Grants program. Mrs. Chandler, who teaches Science and Social Studies, will spend her grant to purchase atlases for students’ use when they apply the concept of the popular TV show, “The Amazing Race,” to learn map skills. 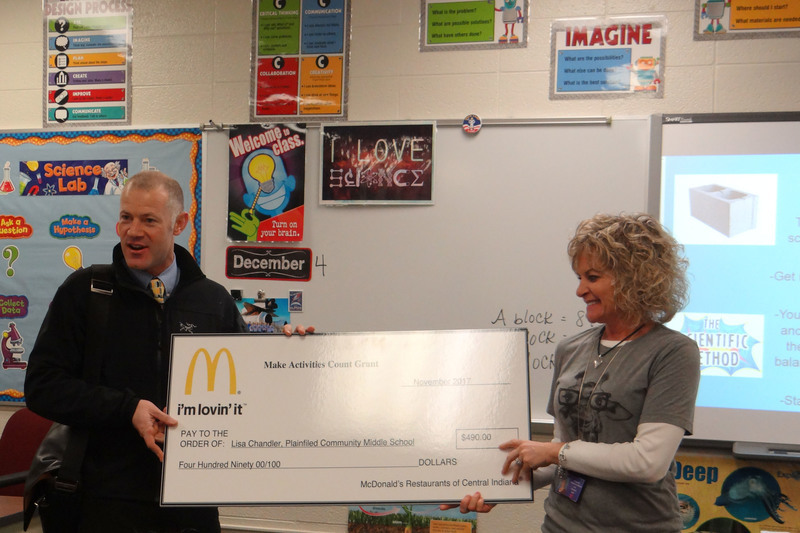 For 18 years, McDonald’s of Central Indiana has offered MAC Grants to enhance learning in hundreds of classrooms across Indiana. These grants are designed to help 6th grade – 8th grade middle school teachers fund learning-induced projects, assignments, lesson plans and activities for their students.